Commercial Truck Efficiency | Platinum Drivers Inc.
One of the biggest costs associated with truck driving is the cost of gas. Gas is obviously what drivers use to power their trucks as they drive across states, and they need to spend a significant amount of money on it in order to keep trucking along. 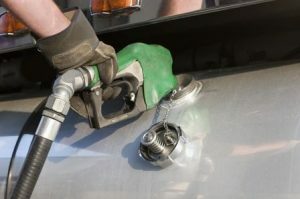 However, there are some steps they can take to cut down on the amount of gas they use when they’re driving a truck. In order to reduce the amount of gas they use, truck drivers should monitor the traffic ahead of them at all times and choose routes that allow them to keep their gear changes to a minimum. This will ultimately lead to them using less gas in the long run, and it will also help them reach their final destinations quicker. Truck drivers should also use their momentum whenever possible and take their feet off their accelerators when driving down hills. In addition to taking these steps while driving, truck drivers should check their tires periodically to make sure that they are filled with the correct amount of air. Tires that aren’t inflated properly will reduce fuel economy and could also become a hazard. And finally, truck drivers should limit the amount of idling they do at all costs. An idling truck can burn through an entire gallon of gas in just one hour. So truck drivers should plan out their stops and shut off their engines whenever they decide they need to take a break. Platinum Drivers is a company committed to offering CDL driver staffing and placement services in Florida, Georgia, Louisiana, Oklahoma, and Texas. We specialize in recruiting, staffing, and placing commercial truck drivers. For more information on how we might be able to help you, contact us today.